From golf courses and dolphin cruises to the boardwalk and the beach there are plenty of awesome things to do for couples in Myrtle Beach. An Atlantic coast must-have, Myrtle Beach is also home to some of the most picturesque coastline in the entire country. If you and that special someone are looking for the right place to plan a romantic getaway to unwind and reconnect then look no further than these 10 top-notch Myrtle Beach attractions for lovers. LOW PRICE GUARANTEE: Discover and book all of the best Myrtle Beach vacation activities in one place with TripShock. Explore the beautiful coastal waters of Myrtle Beach with your partner aboard one of several incredible Myrtle Beach dolphin cruises. 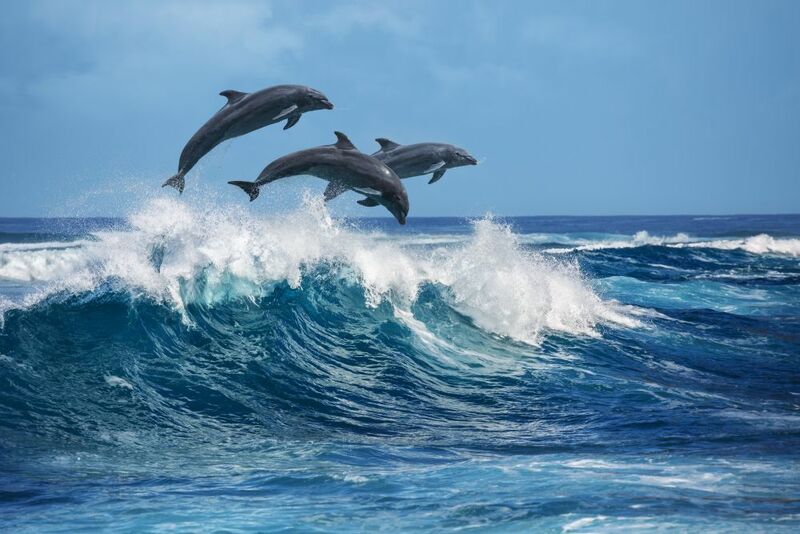 An ideal way to unwind and enjoy nature, sea breeze, and the fresh ocean air, pull your loved one close as you look beyond the rails for dolphins splashing and dashing among the waves! Even better, both the Sea Thunder and Sea Screamer charter sunset cruises with plenty of spacious seating for optimal comfort and maritime bliss! Who is your favorite musical artist of all time? Michael Jackson? Prince? Maybe Elvis Presley? How about your partner? Maybe it's Taylor Swift or Garth Brooks? At Legends in Concert, you can see them all! Enjoy spot-on imitations backed by world class stage crews, dancing, and the best theatrics each and every night! The perfect idea for a romantic night out and one of the best things to do for couples in Myrtle Beach, now you can see all of the biggest musical acts of past and present under one roof for one low price. Book your DISCOUNT TICKETS for Legends in Concert as well as other live shows right here, right now! A day of adventure awaits at the Ripley's Aquarium of Myrtle Beach. A world-class wildlife park that features more than 8,500 aquatic animals and 75 plus species, get up close and personal with stingrays and sharks. Enjoy a unique experience on top of the water with a glass bottom boat ride or go underwater to visit Ripley's state-of-the-art Pearl Harbor exhibit complete with periscopes, radars, and more. An indoor venue fit for day or night and rain or shine, relish this opportunity to discover and learn together. 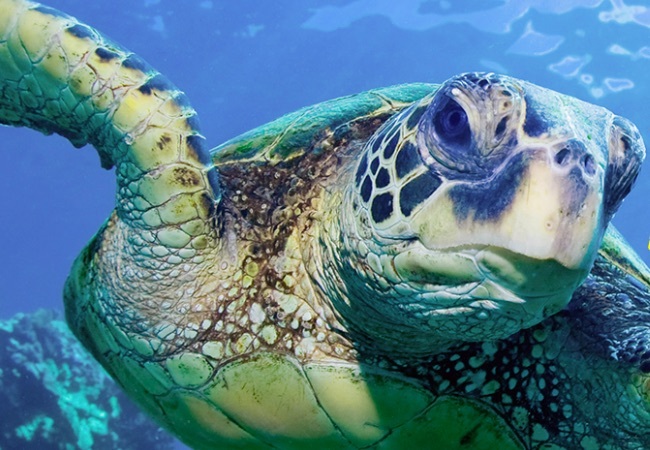 Browse and purchase your next Myrtle Beach aquarium adventure online today! Calling all active and adventurous couples to Myrtle Beach for sky-high excursions! 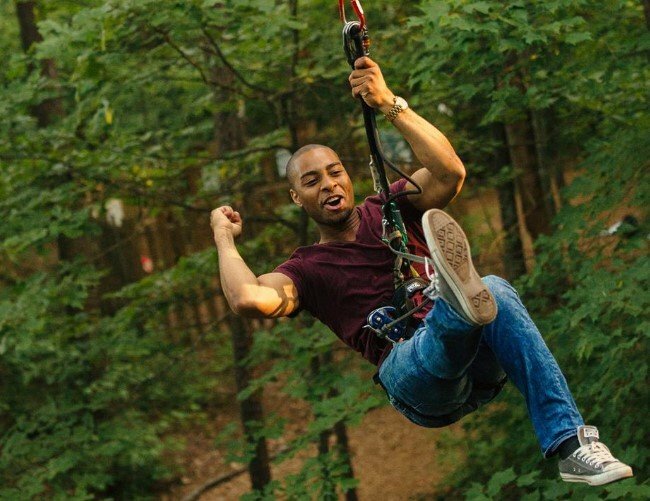 One of our favorite activities of all and among the best things to do for couples in Myrtle Beach, a trip to a ropes and zipline course is sure to push you both mentally and physically and bring you both closer together in the process. Share in the fun and combine heads and limbs and make your way through the obstacle courses and on to the other side! A little emotional support before you take flight on the zipline probably wouldn't hurt either! From GoApe! to WonderWorks Soar & Explore combo , there are plenty of awesome options for you to fly among the canopies and over the water on your next trip to Myrtle Beach. 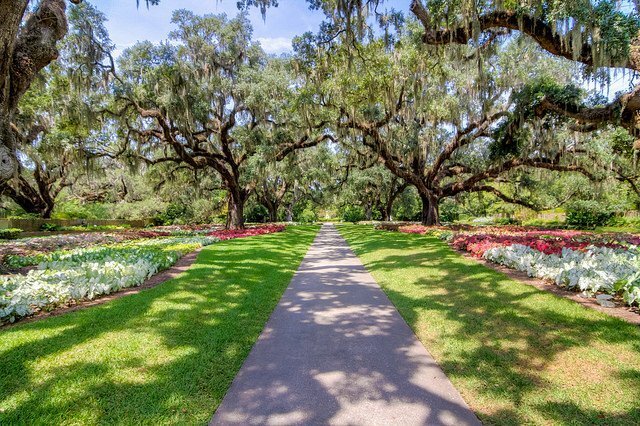 The historic low country and picture perfect plots of Brookegreen Gardens are an absolute gem and among the best things to do for couples in Myrtle Beach. 9,127 acres of manicured landscapes and original American sculptures are sure to captivate as you stroll the fairy-tale-like grounds with that special someone. Find a bench and unwind, snap a few pictures, and or simply enjoy each others’ company while you take in the scenery! Ever have trouble getting your partner to hold still for that perfect couples photo? Relieve your photographic frustrations at the Hollywood Wax Museum Myrtle Beach for all of your favorite celebrities and personalities from across generations. Get cozy with the likes of Julia Roberts, take pictures with Dolly Parton, or bump elbows with "Raging Bull" star Robert DeNiro. No matter who you decide to stop and visit, be sure to help your partner take great photos with their favorites so that they can share them on social media. Or, better yet, share them with us on Facebook and Instagram! Be the Captain of your own romantic journey through the winding Intracostal Waterways of South Carolina with a boat rental from TripShock. 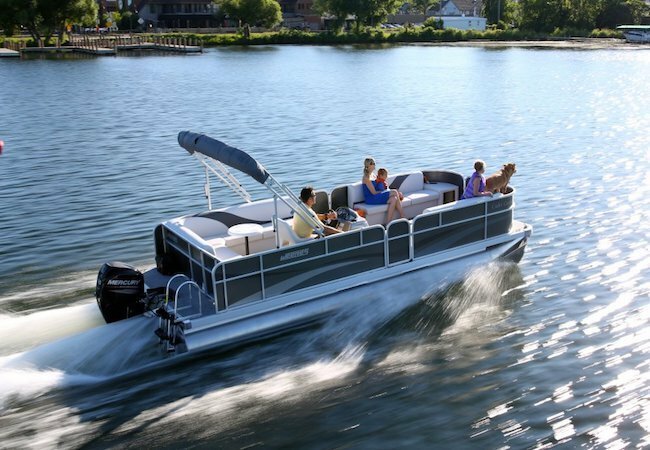 From the luxurious and spacious pontoon to the speedy jet ski or the zippy-yet-utilitarian Carolina Skiff, break out of the same old rotation of going out to eat and walking around and get yourself out on the water! Catch some rays or catch some fish, spend some quality time, engage in deep conversations, or simply park and let the gentle waves rock you and your partner to sleep. Hook the BIGGEST and BADDEST fish in the Atlantic with TripShock charter fishing deals aplenty! 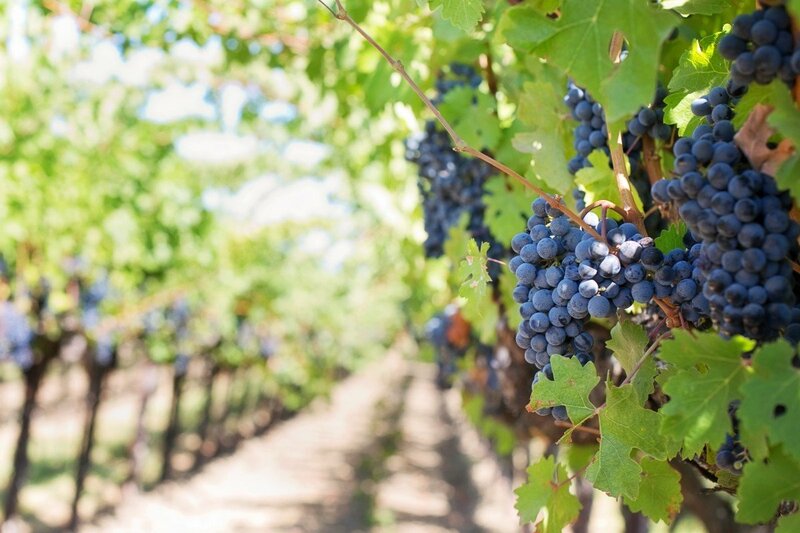 Located just outside Myrtle Beach in Little River, South Carolina, La Belle Amie Vineyard is the perfect mix of elegance and good old-fashioned Southern charm. Located on a stunning plot of rolling real estate in the South Carolina countryside, this former tobacco plantation offers great wine, great food, and pleasant outdoor digs perfect for lounging and enjoying a cold blush on a warm summer day. Located just south of Myrtle Beach proper in scenic Murrells Inlet, the Huntington Beach State Park is home to as much scenic coastline and South Carolina wildlife as you and your partner can handle. Take a hike and observe alligators and herons at the park’s freshwater lake or relax and let the surf and seabreeze wash away your worries and ease your mind. Broadway at the Beach is perhaps the single most popular destination in the city. Packed to the brim with endless options for dining, entertainment, shopping, and overall fun, Broadway at the Beach is never a bad idea for a day or night out with that special someone. Enjoy a romantic meal or a cocktail, buy some new stylish swim trunks, check out WonderWorks science museum, or catch a fireworks show and some live music on the water! 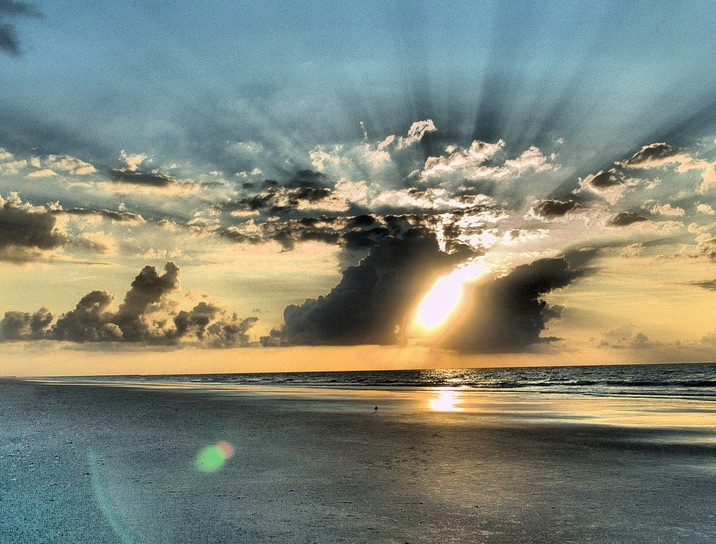 Can’t get enough Myrtle Beach, South Carolina? 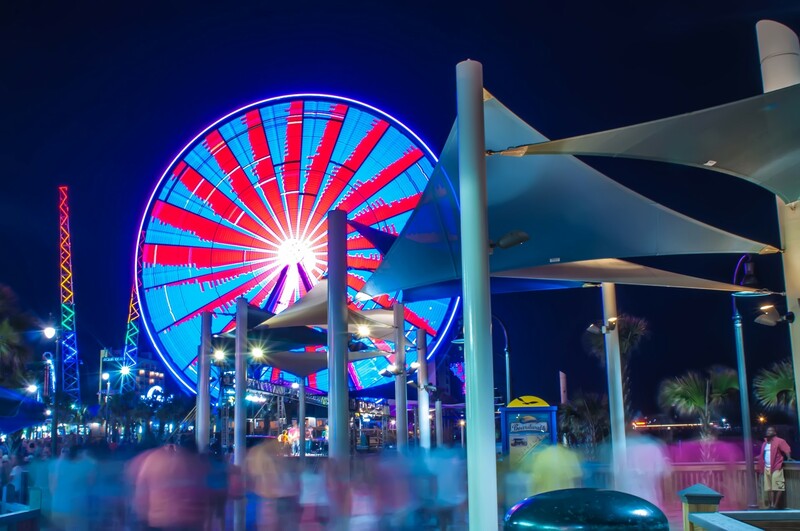 Head on over to our Myrtle Beach visitor’s guide for all of the best vacation tips, tricks, and tours to make the most out of your next visit!